Enjoy Morocco team organise Casablanca private tour with experienced drivers and local friendly guides. After breakfast we travel to Rabat, the capital city and residence of the King, for lunch and a time to enjoy the beautiful coastal city, including the old medina, Kasbah of the Oudayas, the Oudaya Gate, and the Hassan Tower. 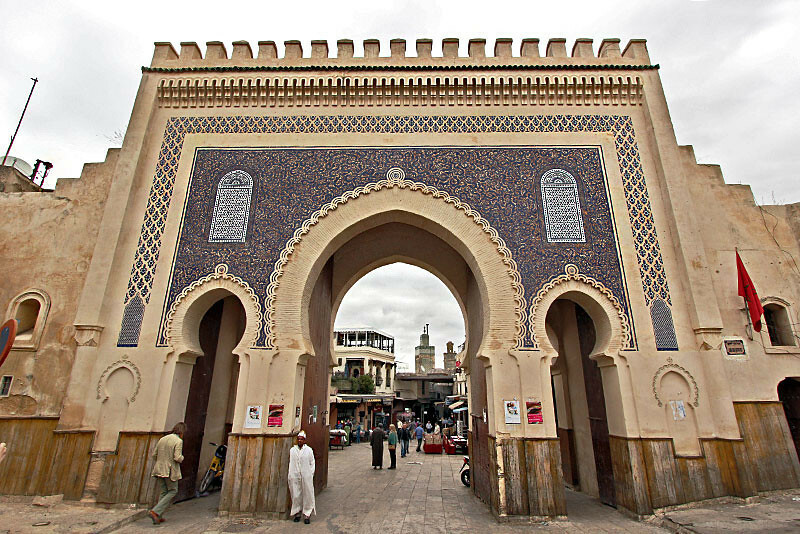 You will then head on to Meknes and visit Moulay Ismail stables, Bab el Mansour, and the Moulay Ismail Mausoleum. Transfer to the hotel in Fes. Guided visit of the Medina of Fes, the most ancient of the imperial cities, founded in the 808 what before political, religious and cultural capital We visit Royal Palace; and ancient Medina of Fez, where later we will take a walk , then we will discover Koranic university and artisans, which they have learned their art from the Spanish andalusis. Overnight in riad..
After the breakfast in your hotel we will drive to Ifrane, famous ski resort , “Switzerland of Morocco” for its unique architecture. You visit cedar forest in Azrou where we may watch local monkies. We continue to Midelt and ErRachidia and arrive in the late afternoon to Merzouga, city on the outskirts of the Sahara Desert. Then later in the afternoon saddle your camels your journey to take us across the desert during a beautiful sunset for about 2 hours to reach you camp for the night by the sand dunes of Erg Chebbi. dinner and breakfast in the desert camp. After breakfast, We will leave to Dades gorges, We will pass from Erfoud, you set out behind the High Atlas Mountains on route to the Todra Gorges. We visit famous and interesting Dades valley where we stay overnight in local riad with dinner. Day 5: Dades Gorges – Ait Benahddou – Marrakech. We explore the valley of Roses”. Then we visit Skoura and Ouarzazate studios. We visit Unesco site of Ait Beehaddou in private and guided excursion usually off the beaten path. In actuality, this setting has been used for more films than any other location in Morocco; films including. We cross the High Atlas mountains to reach Marrakech. Overnight in riad, dinner included. Day 6: Excurison In Marrakech. After breakfast,we will have a guided tour of Marrakech, the southern pearl of Morocco. You will discover the Palace of the Bahia, the Saadian Tombs, and many other hidden treasures. 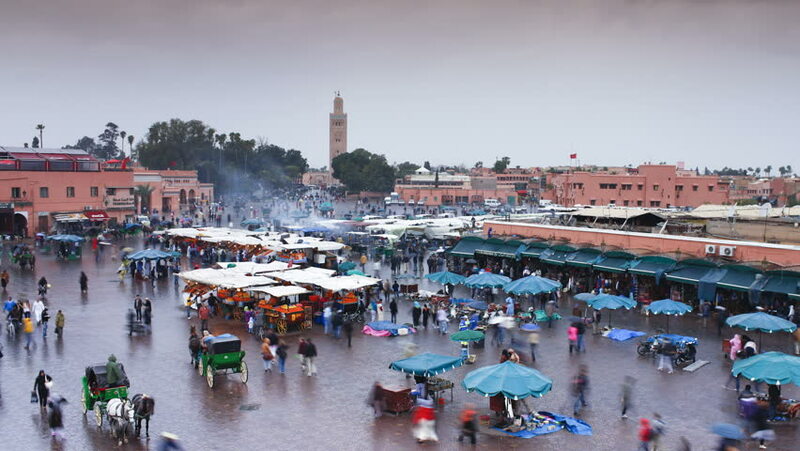 After lunch, you will continue with an exploration of the souk (market) of Marrakech. In the evening, you will enjoy a local restaurant.